A Comp For Mom is a special project i planned over the past month of my mom’s life, to release in her honor and to help raise funds for her medical bills. Now it will be released in memory of her. 100% of the proceeds will be going towards any medical bills/other expenses incurred after her passing, after that 100% of the proceeds will go into a Linda Hansen Memorial Fund. I love you Mom, say hi to Dad for me. The comp features rare and unreleased tracks by La Dispute, Into It. Over It., Now, Now, Run Forever and more, as well as covers such as Allison Weiss taking on The Beatles’ “In My Life,” Daisyhead doing Jimmy Eat World’s “Work” and, recorded special for this compilation, Touché Amore‘s version of The National’s “Available” that they played at Revolution last month. 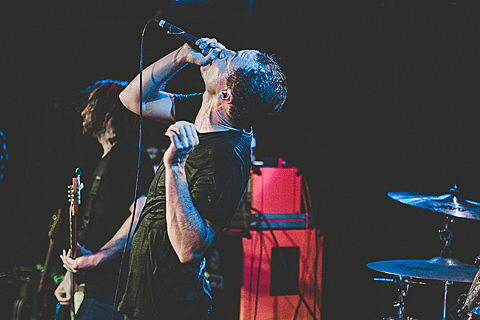 The song, which is a digital-only bonus track, mostly features singer Jeremy Bolm using clean vocals until the song’s end when he brings back his trademark scream. You can pre-order A Comp For Mom now. A full stream of the compilation premieres in this post and can be listened to below.